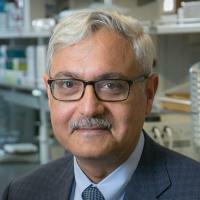 Ashutosh Chilkoti is the Alan L. Kaganov Professor of Biomedical Engineering and Chair of the Department of Biomedical Engineering at Duke University. My research in biomolecular engineering and biointerface science focuses on the development of new molecular tools and technologies that borrow from molecular biology, protein engineering, polymer chemistry and surface science that we then exploit for the development of applications that span the range from bioseparations, plasmonic biosensors, low-cost clinical diagnostics, and drug delivery. Focused on biomolecular materials and biointerface science and emphasizes the development of applications that span the range from bioseparations, biosensors, biomaterials, and targeted drug delivery. Joh, DY; Hucknall, AM; Wei, Q; Mason, KA; Lund, ML; Fontes, CM; Hill, RT; Blair, R; Zimmers, Z; Achar, RK; Tseng, D; Gordan, R; Freemark, M; Ozcan, A; Chilkoti, A, Inkjet-printed point-of-care immunoassay on a nanoscale polymer brush enables subpicomolar detection of analytes in blood., Proceedings of the National Academy of Sciences of the United States of America, vol 114 no. 34 (2017), pp. E7054-E7062 [10.1073/pnas.1703200114] [abs]. Luginbuhl, KM; Schaal, JL; Umstead, B; Mastria, EM; Li, X; Banskota, S; Arnold, S; Feinglos, M; D'Alessio, D; Chilkoti, A, One-week glucose control via zero-order release kinetics from an injectable depot of glucagon-like peptide-1 fused to a thermosensitive biopolymer., Nature Biomedical Engineering, vol 1 (2017) [10.1038/s41551-017-0078] [abs]. Tang, NC; Chilkoti, A, Combinatorial codon scrambling enables scalable gene synthesis and amplification of repetitive proteins., Nature Materials, vol 15 no. 4 (2016), pp. 419-424 [10.1038/nmat4521] [abs]. Qi, Y; Simakova, A; Ganson, NJ; Li, X; Luginbuhl, KM; Özer, I; Liu, W; Hershfield, MS; Matyjaszewski, K; Chilkoti, A, A brush-polymer conjugate of exendin-4 reduces blood glucose for up to five days and eliminates poly(ethylene glycol) antigenicity., Nature Biomedical Engineering, vol 1 (2016) [10.1038/s41551-016-0002] [abs]. Quiroz, FG; Chilkoti, A, Sequence heuristics to encode phase behaviour in intrinsically disordered protein polymers., Nature Materials, vol 14 no. 11 (2015), pp. 1164-1171 [10.1038/nmat4418] [abs]. Bhattacharyya, J; Bellucci, JJ; Weitzhandler, I; McDaniel, JR; Spasojevic, I; Li, X; Lin, C-C; Chi, J-TA; Chilkoti, A, A paclitaxel-loaded recombinant polypeptide nanoparticle outperforms Abraxane in multiple murine cancer models., Nature Communications, vol 6 (2015) [10.1038/ncomms8939] [abs]. Amiram, M; Quiroz, FG; Callahan, DJ; Chilkoti, A, A highly parallel method for synthesizing DNA repeats enables the discovery of 'smart' protein polymers., Nature Materials, vol 10 no. 2 (2011), pp. 141-148 [10.1038/nmat2942] [abs]. MacKay, JA; Chen, M; McDaniel, JR; Liu, W; Simnick, AJ; Chilkoti, A, Self-assembling chimeric polypeptide-doxorubicin conjugate nanoparticles that abolish tumours after a single injection, Nature Materials, vol 8 no. 12 (2009), pp. 993-999 [10.1038/NMAT2569] [abs]. Meyer, DE; Chilkoti, A, Purification of recombinant proteins by fusion with thermally-responsive polypeptides., Nature Biotechnology, vol 17 no. 11 (1999), pp. 1112-1115 [10.1038/15100] [abs].